The Verso mill in Bucksport. 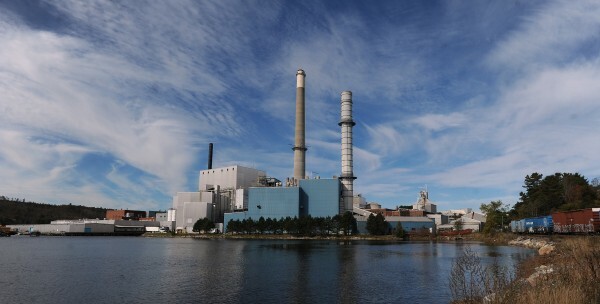 PORTLAND, Maine — Verso Paper Corp., which operates two paper mills in Maine, is trying to save itself from being delisted from the New York Stock Exchange. The NYSE on June 25 said it had commenced proceedings to delist Verso’s common stock, traded under the ticker symbol VRS, because the company’s market capitalization — the market value of the company’s outstanding shares — had fallen below the required threshold. Specifically, the company, which is majority owned by private equity firm Apollo Global Management, had failed to maintain a market capitalization of at least $75 million over 30 consecutive trading days. Verso’s market cap was $52.4 million as of the end of trading on July 18. The Memphis, Tenn.-based company has requested a review of the NYSE’s decision to delist the company’s common stock, according to a news release from Verso. NYSE said it will allow the company’s stock to continue trading during the review process. Verso, which employs 1,500 Mainers at paper mills in Jay and Bucksport, sold its first shares in an initial public offering on the stock exchange in May 2008. Being delisted would not in theory have a big impact on the company’s operations, except being a cause of embarrassment, according to James Bennett, an associate professor of finance at the University of Southern Maine’s School of Business. Verso reported a net loss of $38.4 million in the first quarter of 2013, according to its quarterly earnings report. It’s expected to release its second quarter financials on Aug. 8. Bennett points out that the company’s balance sheet shows liabilities of $1.5 billion and assets of only $1.2 billion; “i.e., the company is essentially entirely debt-financed,” he said. The company’s stock has fallen roughly 67 percent in the last two years, from about $2.84 per share this week in July 2011 to $0.99 per share at the end of trading on Thursday. Its shares were priced at $12 at its IPO in 2008. As of Feb. 28, 2013, Verso had nearly 53 million outstanding shares of common stock, according to its year-end financials. As majority shareholder, Apollo owns roughly 60 percent of those shares. This is not the first time Verso has faced having its shares delisted. The stock exchange sent the company a similar warning about falling below the market cap threshold in December 2008, just seven months after the company closed its IPO. A message left with Robert Mundy, Verso’s chief financial officer, was not returned on Thursday. A woman who answered Mundy’s phone said he would not be able to comment as the company is in a quiet period before the release of its second-quarter earnings report on Aug. 8. Bill Cohen, Verso’s spokesman in Maine, told the Bangor Daily News on Thursday that being delisted from the stock exchange is a “big picture” issue that wouldn’t have any direct impact on its two mills in Maine. But that doesn’t mean its millworkers haven’t been paying attention. If the company’s shares are delisted from the exchange, those most affected could be Verso’s shareholders, who may find themselves holding “illiquid assets” with no exchange to sell them on, Bennett said. Without an exchange, shares are traded on what’s called the over-the-counter market. As long as there is still demand for the shares, a market will exist, he said, but the OTC market features more expensive trading costs. “So, any investors holding shares after delisting will most likely be able to trade their shares, but it will be a bit more expensive than before,” he said. However, the majority of shares are not owned by individual investors. Institutional investors own 80 percent of the company’s shares, “so the fallout for individual investors is likely to be small,” he said. NYSE informed Verso it had fallen below the market cap threshold in December 2011. In February 2012, the company submitted to NYSE a plan to achieve compliance within 18 months. That period was complete as of June 21, 2013, with the result that the company was not able to achieve the market cap requirement.